Adele Marian Herzfeld obituary. Carnes Funeral Home. 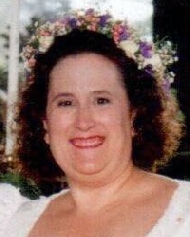 GALVESTON — Adele Marian Spencer Herzfeld, 57, of Galveston, Texas passed away suddenly Friday, May 9, 2014. She is going to be greatly missed by her husband, family, and all those who ever were blessed enough to have met her. Adele was born in San Francisco, California, and married Heinerich “Heimy” Herzfeld on December 31, 1994. Adele loved her family, friends, and her patients. She was very active in various Geriatric organizations in Galveston County. She was always ready and willing to assist anyone that needed her aid and assistance. Her loves included needle work, shooting, her support groups for the care givers of those with dementia, and her job at UTMB Geriatric clinic. Adele is preceded in death by parents, Gordon and Barbara Spencer; grandmother, Elberta S. Tindall, and uncles, Richard Cosmi, William (Bill) Tindall and Ralph Schumacher. Adele is survived by her husband Heinerich (Heimy) Herzfeld, brothers Kirk Spencer and wife Darla, Keith Spencer and wife Teri, niece Cassie Brandt and husband Matthew, nephew Theodore Spencer, great nephew Spencer Brandt, her aunts Dorothy Cosmi and family, Michele Schumacher, patients, their families, sister-in-law Anna Allebach, nephews James Potts, Randy Potts and wifec Elizabeth, nieces Helen Potts, Merry Anna Reay and Husband John and family and her many wonderful friends that touched and influenced her life. Adele’s family will receive visitors on Saturday May 17th at 1:00 p.m. with Memorial Services to follow at 2:00 p.m., at Carnes Funeral Home -Texas City, 3100 Gulf Freeway, Texas City, TX. Adele’s family asks that in lieu of flowers that you make a donation in her name to Libbie’s Place 2803 53rd St, Galveston, TX or to a charity of your choice. In the time of your loss, Carnes Funeral Home would like to extend our deepest condolences. It's our honor to serve your family.